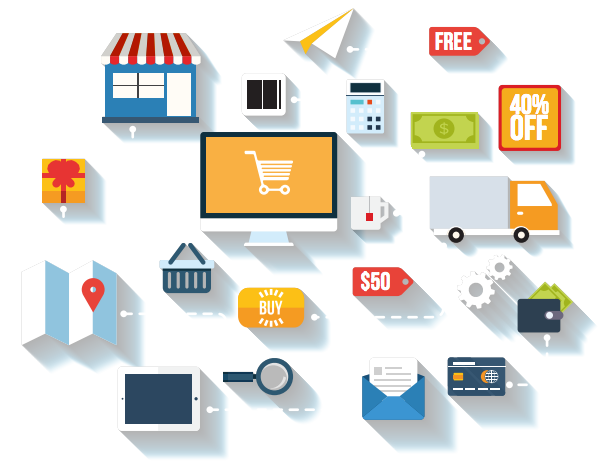 Every day, small and medium businesses sell their products or services in cash. However, what would happen if your customers do not have cash at that time? 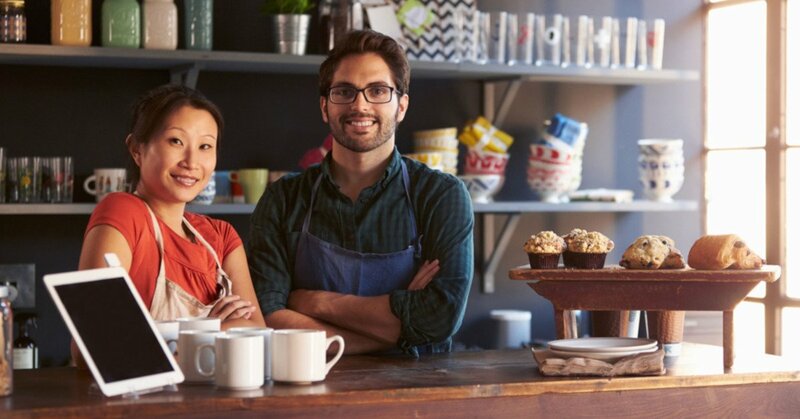 An alternative is for the customer to pay with a debit or credit card, although, in that case, the company would assume greater expenses when having to contract a POS service ("point of sales"). Another alternative is for your clients to request a loan from a financial institution, so that they can assist you. Even so, both alternatives are not very accessible, very expensive and not very flexible for their clients. Is there any new way for the SME's to have a credit sales system that improves their profit margins? To what extent can you know and trust the willingness and ability to pay the customers to sell them on credit? And what would happen if you decide to sell that credit opportunity to a financial institution in order to get money quickly? The total cash sale price of your product or service (in dollars). Number of days in total in which the client, a person or micro company, wants this benefit (in days). Frequency in which you will pay for the product or service delivered (Daily, Weekly, Biweekly, Monthly, One-time payment). Identity card of your client. With this information, Sofi.la will initiate all of its financial technology process that will allow small and medium companies to sell their products or services on credit in a simple and safe way. Let's go to an example. The price of a cash product is S / 1,000 peruvian soles and the customer identified with a national identity document in Perú (DNI) is 46780307 would like to opt for a 60-day credit sale benefit with a single payment frequency at expiration. 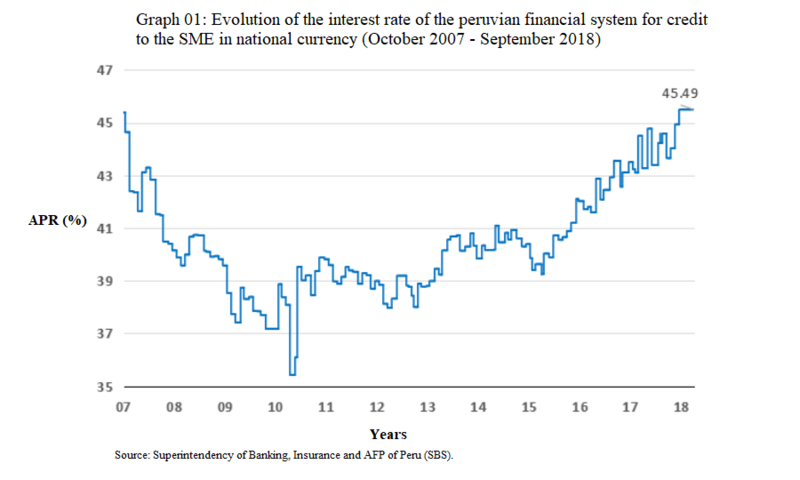 The opportunity cost of the money is calculated from the interest rate of the peruvian financial system for credits to the micro company in national currency. This rate changes every day according to the financial market. As can be seen in graph 01, as of September 20, 2018, the annual effective interest rate in national currency (soles) closed at 45.49% (or 3.17% monthly), its highest level observed in the last 11 years. To see it, click here. Therefore, the additional gain for offering this benefit to your client would be S / 64.48 peruvian soles for offering this benefit at 60 days with a single payment frequency. In addition, The SME would be saving S / 45.50 commission for the use of POS. And best of all, they can instantly have the cash in their account if they want to sell the credit opportunity to the bank. Tell us if you would like to access this benefit for your clients. Register your data by going to www.sofi.la or write to info@fintechlab.pe and we will contact you as soon as possible.